“Accompanying measures” are the social inclusion initiatives which are implemented alongside the delivery of food and material assistance under the Fund for European Aid to the most Deprived (FEAD). 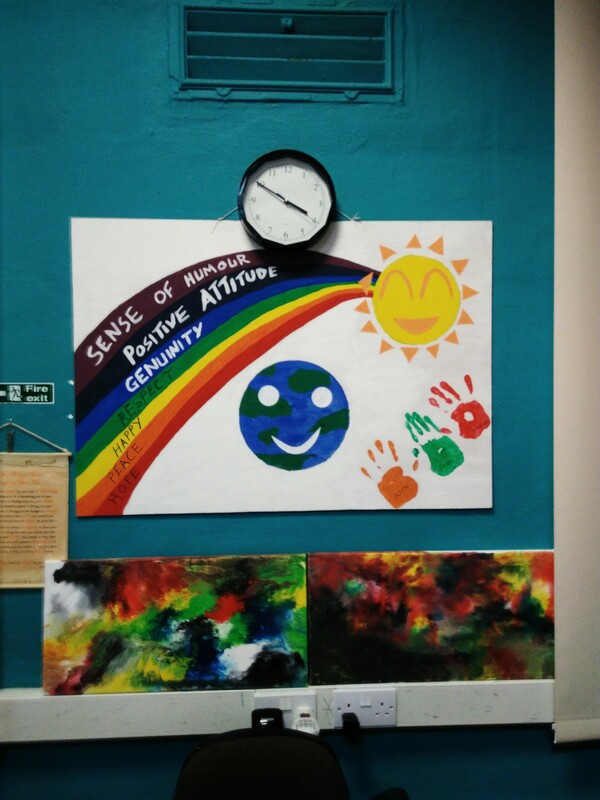 They include a wide range of activities, such as information about social services, workshops or counselling, and are implemented at the local level by volunteers and social workers. EU Member States can use up to 5% of their FEAD resources for accompanying measures, which are key to strengthening the social impact of FEAD. They go beyond basic emergency assistance by aiming to enable lasting change in people’s lives. 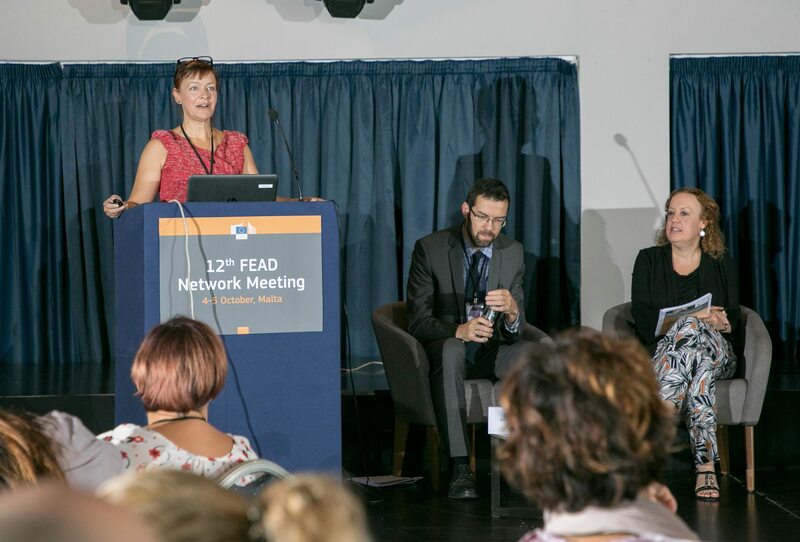 Given the importance of accompanying measures, the 12th FEAD Network meeting focused on their practical implementation in local and national contexts. How can sustainable accompanying measures be delivered? And how can they be adapted to the needs of FEAD end users? These were some of the questions addressed during the meeting, which gathered around 100 participants, including representatives from the National Red Cross Societies of Croatia, France, Hungary, Luxembourg and Slovenia, as well as other civil society organisations, FEAD managing authorities, national ministries and the European Commission. As a basis for these discussions, Stephen Christopher Vella, Director of the Corporate Services within the Foundation for Social Welfare Services presented how FEAD and its accompanying measures are implemented in Malta. Material assistance is distributed in the 11 “LEAP” centres managed by the Foundation. These centres centralise food and material distribution points, as well as providing a wide range of social services in an attempt to cover the needs of FEAD end users in a holistic way. By gathering distribution points and social services in the same venues, LEAP centres attract people who would be harder to reach without FEAD. Here, social workers can more easily re-direct them to relevant services, or directly implement social inclusion measures, such as reading activities with children, or advice about electricity and water consumption. Isabelle Vekemans, Head of Food and Material Support at the Luxembourg Red Cross presented the accompanying measures that they have set up in cooperation with Caritas. The 12 social groceries of the Luxembourg Red Cross implement FEAD by providing daily products at a third of their market price. In addition to material assistance, social groceries propose accompanying measures such as cooking workshops, first aid training, and creative workshops for children. Since 2015, FEAD has helped to increase the number of vulnerable people that can access Red Cross activities. 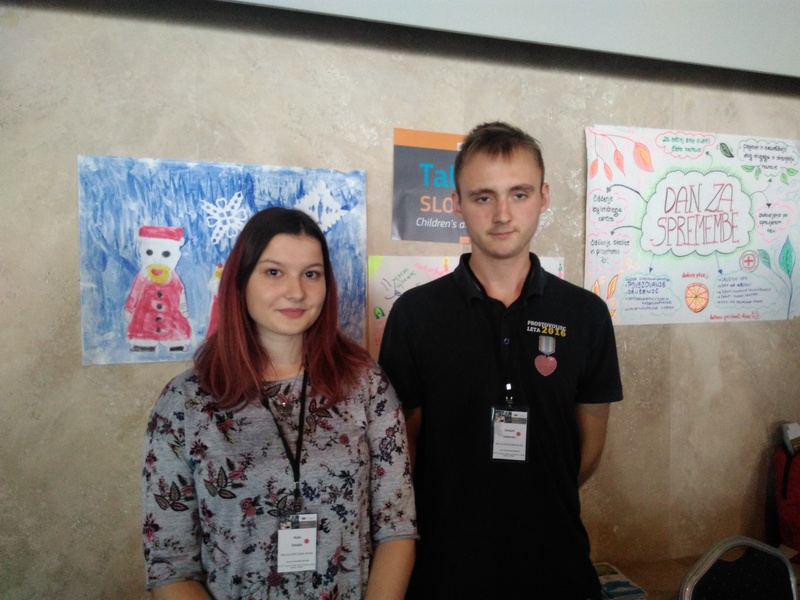 Another example of Red Cross accompanying measures was presented by Gasper Leskovec and Ayla Smajic, volunteers from the Postojna-Pivka branch of the Slovenian Red Cross. They manage the project “We are together”, which targets children in deprived families. The project focuses on providing psychosocial and supporting the personal development of these children by proposing activities like summer camps and creative workshops. Across the EU, many National Red Cross Societies witness the critical role that FEAD accompanying measures can play in addressing the social exclusion of the most deprived at the local level. As EU decision-makers and Member States discuss the parameters of the future European Social Fund Plus (ESF+) - the lead funding instrument for EU policies in the social, health and employment sectors under the next Multiannual Financial Framework (MFF) 2021-2027 which will incorporate FEAD – making these accompany measures compulsory would help to effectively address the complex needs of increasing numbers of people in vulnerable situations and meaningfully contribute to enhance social cohesion.